So far Oral Cancer Foundation News Team - A has created 1989 blog entries. A pioneering operation to regrow a woman’s jaw from her own skin and bone after she lost it from cancer has been branded a “significant success”. Val had her entire lower jaw removed including her glands, chin, lower lip and part of her tongue after being diagnosed with cancer in 2015, leaving her unable to eat, drink or talk. The 55-year-old from Wolverhampton eventually under went a pioneering surgical technique – known as distraction osteogenesis – to encourage her jaw to grow back after two previous attempts to reconstruct it failed. This involved surgeons at trust’s maxillofacial service at Nottingham University Hospitals NHS Trust’s Queen’s Medical Centre (QMC) fitting her with a facial frame to act as “scaffolding” around which her own bone and tissue can grow back. Val has had two further operations including one last month to remove the frame, and was discharged on Thursday. Doctors said 90mm of bone had grown since the operation in January 2018 – and branded the procedure a “significant success”. Val said it had been a “leap of faith” to undergo the surgery – which was the first time it had been carried out in the UK. She added: “Just over a year ago I was resigned to the fact I would have to wear a prosthetic chin for the rest of my life, but after one of our brainstorming sessions at my local hospital, when we joked about growing a new jawbone, it sparked an idea. “It was a leap of faith as there were no guarantees it would work at all, but I had everything to gain and nothing to lose. “It’s been a bumpy road, often painful and frustrating but throughout the maxillofacial team at QMC have given me their upmost support. Val hopes that following the success of her treatment, the procedure can be used for others with similar difficulties with confidence that it will change their lives for the better. Dilip Srinvasin, clinical director for the Maxillofacial Service and Val’s surgeon, said: “The surgery was the first of its kind used in this way in the UK. “Using pioneering techniques and specialist knowledge from both surgeons and the laboratory in Nottingham, we have managed to use a frame to reconstruct the lower jaw. 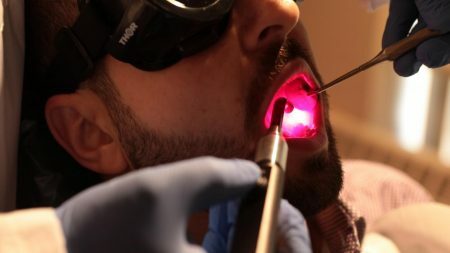 University at Buffalo (UB) researchers have received part of a $1.5 million grant to investigate light therapy as a replacement for prescription opioids in treating oral mucositis, painful ulcers, and swelling in the mouth that result from chemotherapy and radiation treatment for cancer. Funded by the National Institutes of Dental and Craniofacial Research Small Business Innovation Research program, the grant will help the researchers determine the effectiveness of photobiomodulation in prevention and treatment of oral mucositis after cancer treatment. The research, led by Praveen Arany, DDS, assistant professor in the UB School of Dental Medicine, will be performed in collaboration with faculty from the Departments of Radiation Medicine and Oral Oncology at Roswell Park Comprehensive Cancer Center. Arany, who is president of the World Association for Photobiomodulation Therapy and co-chair of the committee on light therapy for supportive oncology care of the Multinational Association of Supportive Care in Cancer, is an advocate for wider use of photobiomodulation in the United States. He recently took part in the first congressional briefing on photobiomodulation before the House Science, Space, and Technology Committee in Washington, D.C. The briefing, held Oct. 11, 2018, invited a panel of international experts on the therapy to discuss the potential of photobiomodulation to improve health care and lower dependence on opioids. Henry Ford Cancer Institute is a leader in providing a minimally invasive procedure called a sentinel lymph node biopsy for patients with early stage oral cancer. The biopsy can be performed at the same time oral cancer is surgically removed, and it can determine if the cancer has spread to nearby lymph nodes. For Henry Ford patient Marlene Calverley, the biopsy meant having three lymph nodes removed versus 30-60 lymph nodes, and a two-inch scar instead of a five-to-six-inch scar. It also meant no neck drains, no physical therapy, and a decreased risk of complications. 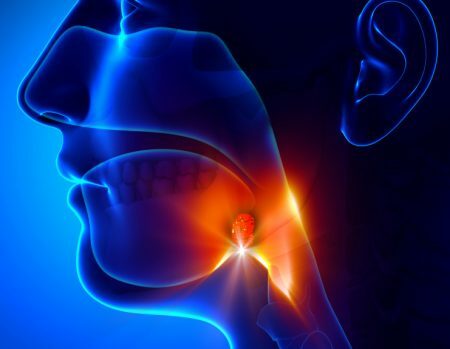 “We are one of the few – if not the first – medical center in the State of Michigan to adopt this new paradigm for treating early oral cavity squamous cell cancers,” says head and neck cancer surgeon Tamer A. Ghanem M.D., Ph.D., director of Growth, Access, and Service for the Department of Otolaryngology at Henry Ford Cancer Institute. This new paradigm is based on a standard treatment for breast cancer and melanoma skin cancer. The early data shows that sentinel lymph node biopsy may improve patients’ survival rate. Research also demonstrates a significant decrease in recovery time, complications, and effects attributed to a treatment, says Steven Chang, M.D., director of the Head and Neck Oncology program and the Microvascular Surgery Division at the Henry Ford Cancer Institute. Head and neck cancers are among the most common cancers in the U.S. and globally. At the time patients are first diagnosed with oral cancer, about 15-25 percent of them have hidden microscopic cancer cells in the lymph nodes of the neck. During a routine dental exam, Calverley was told to watch a small spot on her tongue. Three years later, an oral surgeon discovered cancer. Knowing there was a significant chance of cancer spreading, the surgeon recommended a neck dissection to remove all the lymph nodes. At Henry Ford, Dr. Chang would offer a new and more precise treatment approach. Traditionally, when oral cancer is found, neck surgery is performed and all the lymph nodes are removed, whether they are known to be diseased or not. However, about 75-85 percent of the patients do not need this surgery. After surgery, patients may require neck drains, and some will experience shoulder and lip weakness caused by exposing and manipulating the nerves, says Dr. Chang. Also, patients will have a large scar and longer recovery time. In the past, patients who had early oral cavity lesions and who were at risk for hidden cancer in the lymph nodes were routinely offered extensive neck surgery to find any diseased nodes. Now, we are offering a simple sentinel node biopsy to select patients to find diseased nodes, says Dr. Ghanem. Calverley was one of those select patients. To eliminate the cancer, one-quarter of her tongue would need to be removed. When doctors at another medical center initially recommended having all of levels 1-4 removed – which could consist of 30-60 nodes in her neck – and grafting donor tissue onto her tongue, she sought a second and third opinion. “Dr. Chang was the only one who offered to do the sentinel node biopsy and to have my tongue heal on its own,” says Calverley, a 72-year-old Rochester resident. When Dr. Chang explained that the sentinel node biopsy is also done for women having a mastectomy, it was an easy decision for me, she said. “I had my surgery in November, and my tongue is healing beautifully,” says Calverley. “Only three nodes were removed, and my scar is only about two inches. It’s right in line with a wrinkle on my neck, and you can barely see it,” she says. “Within three days, I was up and making pumpkin rolls for Thanksgiving,” says Calverley. She spent only one night in the hospital after the surgery. The benefits of the biopsy are important. Compared to surgery that removes all the lymph nodes, sentinel lymph node biopsy lowers the risk of lymphedema, which causes a buildup of fluid and swelling in the body. Additionally, the biopsy involves mapping lymph nodes in the lower neck and opposite side of the neck – areas not typically included in the traditional approach. For cancer in the middle area of the head or neck, patients can avoid surgery on both sides of the neck. The sentinel node biopsy procedure involves injecting into the oral cancer site a weak radioactive substance that marks white blood cells. 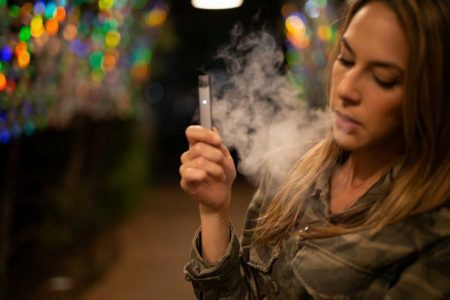 The substance acts as a tracer and is picked up by the lymph vessels, travelling along the path most likely used by any cancer cells that might drain from the tumor to the lymph nodes. Depending on the patient, cancer cells may travel in different paths or patterns. The first lymph node that the substance goes to is called the sentinel lymph node. Imaging will find it and any other nodes containing the tracer. The surgeon will remove the suspected lymph nodes along with the oral cancer, and a pathologist will immediately examine the tissue to determine if cancer is actually present in the nodes. If it is, the surgeon will perform a neck dissection to remove the diseased lymph nodes. However, if the nodes are negative for cancer, then we will avoid a full neck surgery for the patient, says Dr. Ghanem. By using minimally-invasive procedures and personalized medicine, doctors at Henry Ford continue to advance their mission of improving patient outcomes. 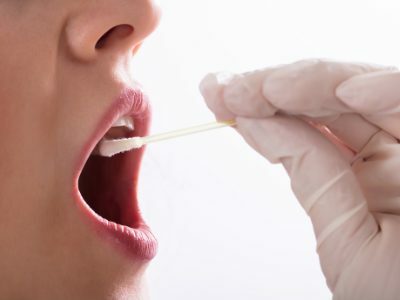 New symptom combinations that may indicate early symptoms of laryngeal cancer have been identified, according to a study published online Jan. 28 in the British Journal of General Practice. “These results expand current NICE guidance by identifying new symptom combinations that are associated with laryngeal cancer; they may help general practitioners to select more appropriate patients for referral,” the authors write. Ryan Greenan went to his doctor in Edinburgh in September after he started having trouble swallowing, eating and drinking. The 35-year-old from Scotland was advised his symptoms were most likely caused by reflux and anxiety, reports the Scotsman , despite his family having a history of throat cancer. Ryan’s sister Kerry, 33, said her brother took this diagnosis at face value “because the general advice was that oesophageal cancer only really affected older people”. However, the symptoms persisted and Ryan started to rapidly lose weight before collapsing at work in December. He was taken to hospital and it was then that a tumour was discovered in his throat and he was diagnosed with cancer on December 28. There was more heartache when it was revealed it had also spread to his lungs and liver and there was nothing that could be done to save him. Three weeks later Ryan sadly died. His sister is now calling on doctors to thoroughly test for the illness, even in younger patients. Kerry told the Scotsman : “When Ryan first went to the doctor, he was told it was anxiety and that he was too young for it to be cancer because he was only 35. “He just took that as his diagnosis and didn’t go back because the general advice was that oesophageal cancer only really affected older people. “If it had been picked up earlier, they could have operated, they could have given him chemotherapy, but after three months it had spread, there was nothing else they could do at that point. It was while Ryan, who has two daughters aged eight and 11, was receiving treatment that he proposed to partner Natasha Robertson, 35, on January 11.